The probability of receiving a good reserve study increases if you get the basics right, a fact that many resorts overlook when they commission a reserve study. The tendency of most resorts is to simply “bid” the reserve study and award it to the lowest bidder, assuming all reserve preparers are equal, without first establishing the resort’s goals or the scope of work. A better approach is to determine your goals, establish policies to reach those goals, and engage in a request for proposal (RFP) process to find the right reserve study company for you. The approach starts with the real reason why you perform a reserve study. The reserve study is a long-term budget to establish a financial plan to ensure proper maintenance of the resort’s physical property, including the interior and exterior common areas, and the FF&E (furniture, fixtures, and equipment) in the unit interiors. The reserve study is what you do. Why you do that is to ensure that members and guests have a satisfactory vacation experience, which will not occur if the property is not well maintained. How you do that is the reserve-study process, which is the subject of this article. The reserve study process consists of three separate but dissimilar disciplines. Knowledge in one area does not indicate knowledge in the other areas. The three disciplines are facilities maintenance (component condition assessment); valuation (pricing components); and financial calculations, modeling, and reporting. The reserve study is not a maintenance plan; it should be the financial reflection of your maintenance plan. In other words, the maintenance plan calls for replacing the roof in 10 years, while the reserve study presents a plan for funding that roof replacement in 10 years. Many people confuse the reserve study with an engineering study. It is not. The engineering study is a detailed, in-depth analysis that often includes invasive testing and encompasses structural, lifetime components not included in the reserve study. The reserve study is a relatively superficial analysis with the sole purpose of creating a budget. The underlying process is to perform a component condition assessment, a pricing analysis, and the financial analysis and report. Determine what standards to apply – the International Capital Budgeting Institute (ICBI) or Community Associations Institute (CAI). Determine date placed in service or remaining life. Resources for valuation (pricing components) are bids, invoices, vendor estimates, researched costs, preparer’s cost database, cost-estimating manual, and a prior reserve study. Factors important to the funding plan and report are the calculation method (cash flow or component), inflation, interest, the annual increase in reserve assessments, the percent-funded calculation, software, and reporting standards. Reserve funding sources are limited to the annual maintenance fee; special assessments; loans; revenues from food and beverage, vending machines, rental of recreational equipment and facilities, and other ancillary sources augmenting the general operating budget; and ancillary revenues earmarked specifically for the reserves. Following these preparations, create reserve policies. For details, visit http://www.reservestudyusa.com/downloads to see model reserve policies and a model RFP document. Resorts that want better planning should consider upgrading from an “independent reserve study” to a “reserve-management plan” (RMP). The independent reserve study reflects the reserve preparer’s opinion on what you should do, when you should do it, and how much it should cost, without input from the resort. The RMP incorporates the resort’s input in the resulting reserve study report. 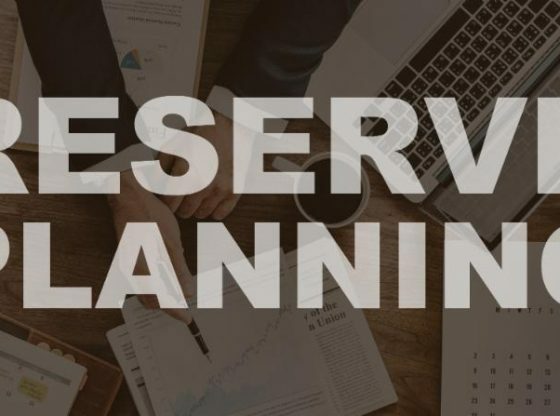 An RMP is produced on a collaborative basis between the reserve preparer and the resort, considering your plans for what reserve activities you expect to perform, when you expect them to occur, and your actual pricing information. Internet-based software allows you to keep the process updated. The result is a real reserve-management plan, not just the “one and done” of the independent reserve study.